Product prices and availability are accurate as of 2019-03-12 10:41:40 UTC and are subject to change. Any price and availability information displayed on http://www.amazon.com/ at the time of purchase will apply to the purchase of this product. Toys for your cub in the tub! 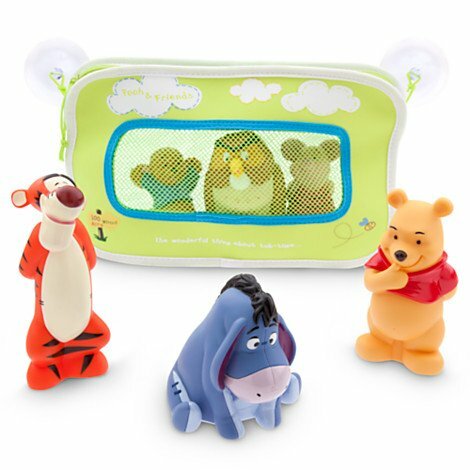 Winnie the Pooh, Eeyore, Piglet, Owl, Roo and Tigger too, make certain to make a playtime splash in the bath. 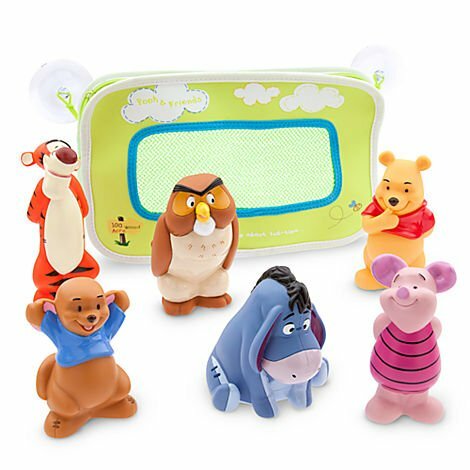 It's about time the 100 Acre Wood struck the water Magic in the information ... Set includes: Winnie the Pooh, Tigger, Eeyore, Piglet, Owl and Roo Recyclable neoprene bag with mesh and zip closure Bag has 2 suction cups for easy accessory to tub " Pooh & Buddies" and" The terrific thing about tub-time" evaluated on bag Part of the Winnie the Pooh Bathtime for Child Collection The bare necessities Ages 18 months + Each bath toy figure 5" H. Plastic/ neoprene/ mesh. Imported.